One of the most frustrating aspects of shopping in a brick and mortar store, is perhaps the waiting. Queuing for the checkout registers is one of the most annoying parts. Especially when the person at the head of the queue is asking a handful of questions, and you only have one thing you want to buy and take away. 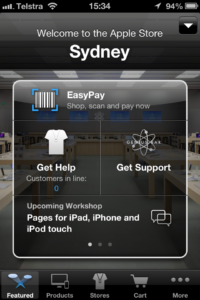 Several months ago, Apple introduced the idea of ‘EasyPay’, where you get to be your own self checkout; take out your iPhone and you can scan and pay for accessories yourself. Great if you know exactly what you’re after, have no questions, and you just want to get there and then go. First up, you’re going to need to install the Apple Store app; this works on the iPhone, iPod touch and the iPad if you’ve got a camera. You also need to have location services enabled if you’ve turned them off, and you need to connect to the ‘Apple Store’ WiFi network. 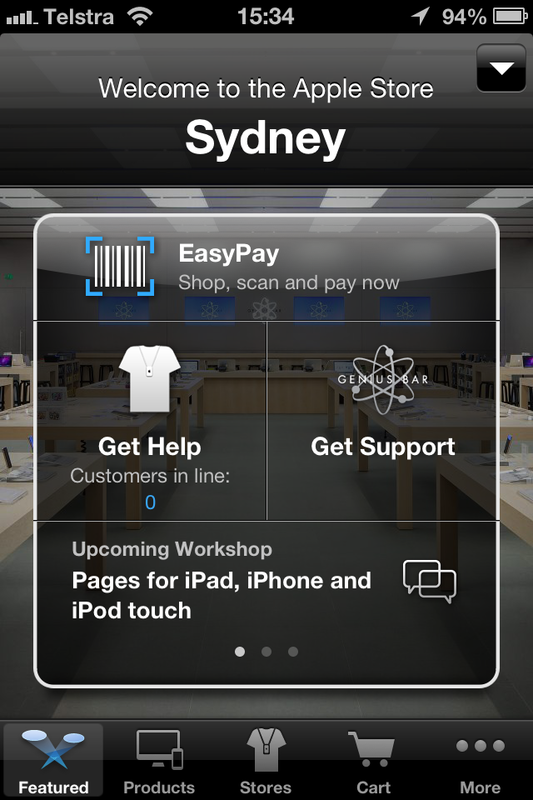 This is how Apple can verify you are actually at the Apple Store!